Ida Mae Crump was born on July 7, 1924 in Chicago, Illinois. She went home to be with the Lord on January 13, 2018. 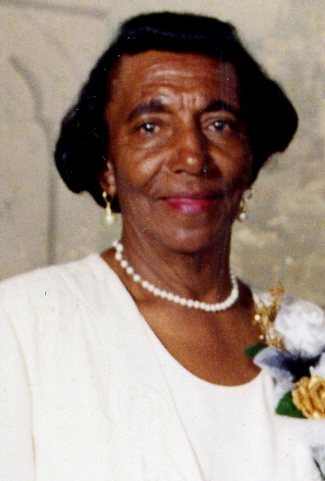 Ida is preceded in death by mother Ida Lawson and father Prince William Lawson, brothers Harold, Herman, John, William (Buddy), and Isaiah. She leaves to cherish her memory with daughter Judy Crump-Woods, son David Crump, grandchildren Amanda, Ashley, Brandon, James, Toniqua, Chauntelle, special cousin Catherine Chisolmi, 7 great grandchildren, the Lawson family, Crump family, and a host of special friends. Viewing at 9:00 AM and Funeral at 10:00 AM on January 20, 2018 at MARLAN J. GARY FUNERAL HOME, THE CHAPEL OF PEACE NORTH 2500 Cleveland Ave.
To the family of Ida Mae, you have my deepest sympathy in your loss. It is truly a blessing to live for 94 years. God blessed Ida Mae as Psalm 90:10 says, “The span of our life is 70 years, Or 80 if one is especially strong.” By means of God’s Kingdom, he promises that we will live forever in the near future (Psalm 37:29).